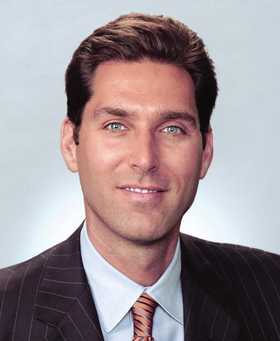 Stephen Ubl wants to accelerate competition in the drug industry. That, he said, is one way to slow the pace of price increases for pharmaceuticals, not to mention keep such rogue actors as Martin Shkreli and Turing Pharmaceuticals in check. Ubl, who took over as CEO of the Pharmaceutical Research and Manufacturers of America in late 2015, would also like to see the federal government make it easier for drugmakers to venture into the value-based payment world. Ubl recently stopped by Modern Healthcare's Chicago offices to meet with the editorial team. The following is an edited transcript. Stephen​ Ubl: Much of the negative press attention focused on the industry over the last year or two has been focused on these types of examples, whether it's Martin Shkreli and Turing or Valeant and the common denominator is they are old drugs, they are off patent, where there is a lack of effective competition. We have been quite supportive of steps that the FDA could take, including clearing the backlog at the agency. I came out of the medical device industry before joining PhRMA. There is a bit of an analogous situation, in that the device industry is denominated by midsize and smaller firms and a lot of generic manufacturers, keeping in mind that they are not inventing the product. Where they fall down generally is in manufacturing the product. And we think the FDA could take a more forward-leaning posture in engaging with those manufacturers to help them resolve manufacturing issues. If you look at the incentive structures that Congress has enacted in the past in our space, whether it is for orphan drugs or pediatric drugs, we know how to create incentives for market entry. And we think those hold promise as well in the generic space, so whether there are tax incentives or manufacturing incentives or other incentives that could encourage other manufacturers into the market, we think that's the best way to address these regulatory arbitrage situations. MH:​ Are​ there​ specific​ ones​ that​ come​ to​ mind? Ubl: The backlog is the most straightforward one. You want to create a system where an entrepreneur or a competitor can eat Martin Shkreli's lunch, but it is hard to do that if it takes four to five months to get a competitor product on the market. Beyond that, I think, structurally, greater incentives. There is also a relationship, as well, to the user-fee agreements. Making better use of real-world evidence we think holds great promise in terms of shortening development cycles and bringing products to market more expeditiously. MH:​ Competition​ is​ seemingly​ what's​ being​ focused​ on,​ but​ it's​ not​ the​ only​ answer,​ and​ it​ is​ not​ 100%​ successful​ either.​ Even​ with​ some​ drugs​ in​ the​ marketplace​ that​ have​ four​ or​ more​ competitors​ on​ the​ generic​ side,​ does​ it​ necessarily​ mean​ that​ prices​ are​ going​ to​ come​ down? Ubl: Several months after I joined PhRMA, we issued a 10-page policy document that looks at all the areas of the ecosystem—the FDA and the reimbursement arena and so forth—to try and address affordability. We have to acknowledge that patients are paying more for their healthcare and they are paying more for their drugs. But it is a systems question at many levels. Drug spend is actually moderating pretty significantly. Looking at Express Scripts data for 2016, drug spending is up about 3.5% and net prices are up about 2.8%. What's not moderating is patient out-of-pocket spending for medicines. It has gone up to nearly 50% since 2013. All of this against a backdrop of increasing rebates and discounts that our members are negotiating with PBMs and plans. Rebates and discounts have nearly doubled over the same time period to over $100 billion. The question for us is, how do we create incentives for patients to benefit at the point of sale and more directly benefit from these negotiations between our members and other stakeholders? One of the other areas I have tried to prioritize is value-based approaches and contracting. There have been a handful of these arrangements and there are public policy barriers and operational barriers. On the policy side, Medicaid best-price reporting rules. You are going to have differential reimbursement based on how the product performs for a particular patient, which means the reimbursement could theoretically be zero. You don't want that reimbursement rate necessarily to reset your Medicaid best price. There has to be some exceptions built in to these arrangements that factor that in. If you look at the Office of Inspector General guidance, it's nearly 20 years old and was built in a fee-for-service world. So, for example, if our members want to offer a novel discount, say package several oncology agents together and offer a bundled rate, that is currently against the law, or if they want to provide transportation services or adherence programs. The OIG historically has viewed those as inducements to use the product. As you move to capitated models where our members are taking greater risk, we don't think that makes a lot of sense. Ubl: We have advocated for transparency that patients can really use. We have done our own research, other people have as well and, in general, patients want to know if their physician is in their network. Is the hospital in the network? What is my out-of-pocket cost going to be? Is the drug I need covered? Is it on the formulary that I can access? There is obviously room for more transparency in the system. There is a point at which research shows that the complete transparency leads to other distortions of the marketplace that are not helpful. It is a convoluted system and we have been quite outspoken in the need to evolve the pricing model away from a system where three pharmacy benefit managers control 80% of the market. Plans are suing PBMs, state attorneys general are looking at these dynamics. A lot of the fees that PBMs charge are tied to list price. So there is clearly room for change and we think we should be moving away from those types of a rebate discount arms race, if you will, to a better more informed value-based discussion. MH:​ Looking​ at​ reauthorization​ of​ the​ Prescription​ Drug​ User​ Fee​ Act,​ do​ you​ foresee​ that​ as​ a​ potentially​ positive​ outcome​ and​ continuing​ the​ research​ surrounding​ some​ of​ these​ drugs,​ especially​ with​ how​ it​ is​ structured​ around​ specific​ tiers​ of​ scaling?​ Do​ you​ think​ they​ are​ appropriate​ as​ they​ are? Ubl: We are really excited about PDUFA, and the potential transformative effect it could have, particularly, building on the 21st Century Cures Act and other initiatives that the commissioner is undertaking. Taken together, all of those things hold terrific promise. In terms of overall drug costs, as long as it takes $2.5 billion in 10 years to get a product to market, it is going to be challenging. So, looking at ways to modernize and reduce those development cycles is really important. MH:​ If​ the​ user​ fees​ go​ up,​ as​ proposed,​ could​ that​ squeeze​ out​ some​ of​ the​ smaller​ companies​ that​ wouldn't​ be​ able​ to​ accommodate​ such​ fee​ hikes? Ubl: I've not heard that concern. MH:​ If​ the​ review​ process​ is​ streamlined,​ how​ do​ you​ balance​ that​ with​ the​ concerns​ on​ safety,​ quality​ and​ efficacy? Ubl: There are improvements that can made without sacrificing the FDA's gold standard around safety and effectiveness. And we have already seen that, for example, in the cancer space, whether it is novel clinical trial designs or better use of real-world evidence. It is going to be increasingly possible to measure a product's performance after approval and set up this virtuous dynamic where we are capturing information real-time and adjusting parameters accordingly. It's not in the industry's best interest, either, to have a bar set in a way that the product doesn't perform in the marketplace. We have a mutual interest in ensuring that the regulatory process remains robust, and yet, again, we have emerging machine learning and other disciplines that are evolving and giving regulators more confidence because they really will be able to capture real-time information in the marketplace in a non-controlled, non-clinical trial setting. MH:​ How​ much​ advocacy​ has​ PhRMA​ been​ doing​ on​ the​ 340B​ drug​ discount​ program? Ubl: We have been quite public in our views of the 340B program and reforms that we would like to see in terms of the outpatient proposal the administration made. We don't think (the CMS' proposed payment cuts) goes far enough. We would like to see the program fundamentally reformed to restrain its growth and to ensure that patients benefit more directly from the discounts. The 340B program has grown exponentially. It was a program that was initially intended for about 100 hospitals that now 2,500 hospitals can use to access discounts in the neighborhood of 30% to 50%. We don't question the underpinning of the need for this program. But, again, it would be nice to see the benefit flow to the patient more directly.